Congratulations To Karen On Winning The Inside Out Makeover – Winter 2019! Karen’s Story: Karen has endured and overcome more in the past 3 years than most people could in 3 lifetimes. A nearly fatal accident involving a drunk driver left her unable to walk or care for herself. She has been battling her way back to live a “normal” life ever since. Every day she faces pain and physical limitations but never gives up. 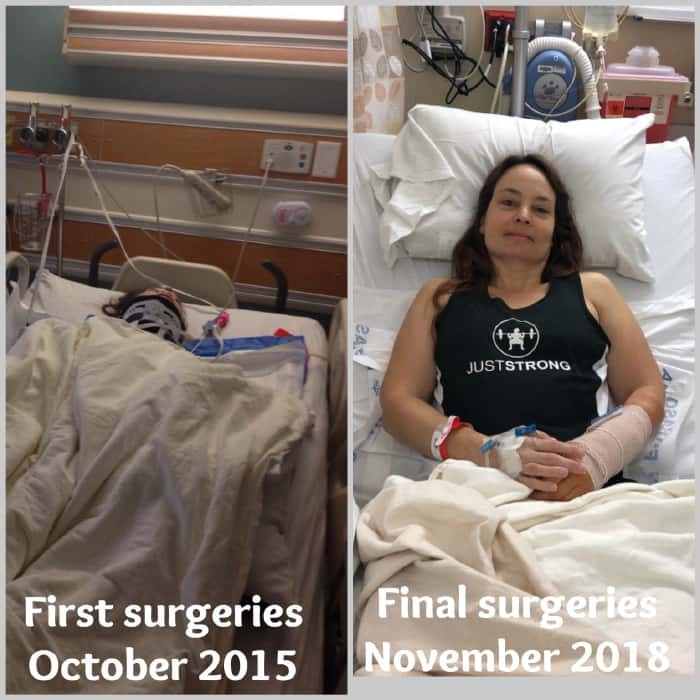 After 3 years living a nonstop cycle of enduring one debilitating surgery after another, followed by more physical therapy and hard work, she is now able to walk and care for herself again. Karen has come through this adversity with an amazing attitude and uplifting spirit and willingly shares her story to help encourage others around her. I nominate Karen for this makeover not to hide her scars but to let her know that she is beautiful just the way she is. Keep Checking Back For More Updates From Karen!